عندما تزور نيلسون, ستشعر أنك في بيتك في Collingwood Manor Bed & Breakfast الذي يقدم لك إقامة متميزة و خدمات عظيمة. يمكن من هنا للضيوف الاستمتاع بسهولة الوصول إلى كل ما تقدمه هذه المدينة النابضة بالحياة. يضفي محيط الفندق اللطيف وقربه من اوتوموبايل اسوسييشن, روثرفورد, ستيت 6 سحراً خاصاً على هذا الفندق. 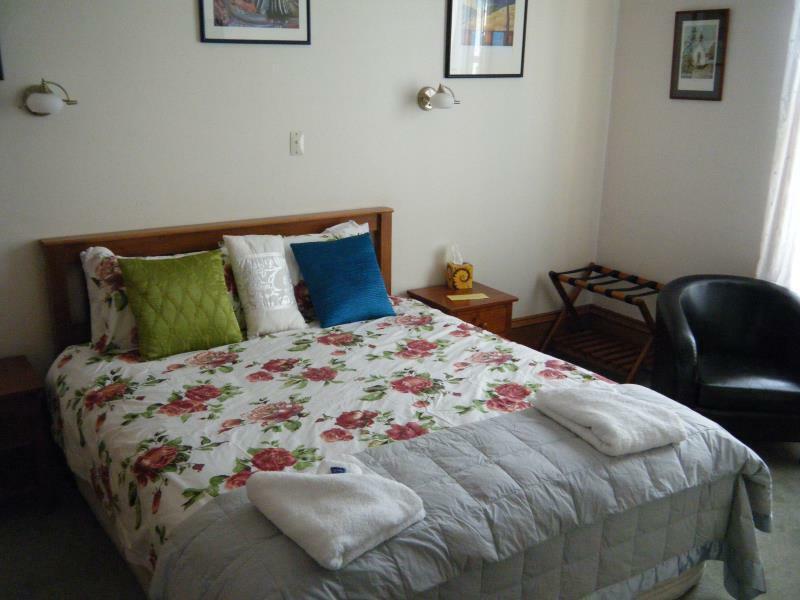 إن Collingwood Manor Bed & Breakfast حريص على توفير الراحة للنزلاء، فلا يوفر الموظفون جهداً في تقديم أفضل الخدمات وضمان حسن الاستقبال. يقدم الفندق واي فاي مجاني في جميع الغرف, خدمة التنظيف يوميًا, مدفأة, خدمة سيارات الأجرة, تخزين الأمتعة لضمان الراحة القصوى لضيوفه. بالإضافة لهذا,تتضمن كل غرف الضيوف مجموعة واسعة من وسائل الراحة . بعض الغرف توفر حتى تلفزيون بشاشة مسطحة, اتصال لاسلكي بشبكة الإنترنت (مجاني), غرف لغير المدخنين, مكيف هواء, تدفئة لإرضاء أكثر الضيوف تطلباً. يقدم الفندق خدمات رائعة كمثل حديقة لمساعدتك على الاسترخاء بعد نهار طويل من النشاط والتجوال في المدينة. 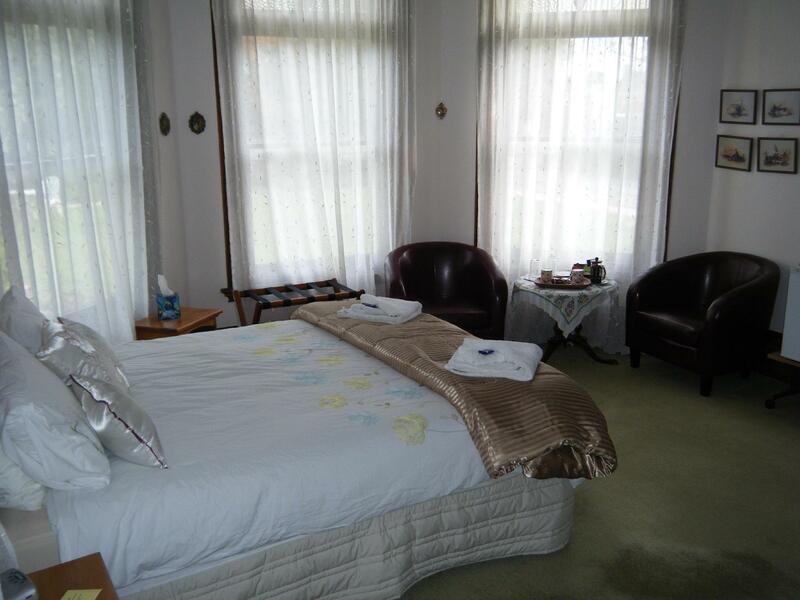 إن Collingwood Manor Bed & Breakfast هو خيارك لخدمة الفنادق الراقية في نيلسون. Great breakfast!!! Ray was very helpful and kind. He made us sandwiches for our trip when we missed breakfast. 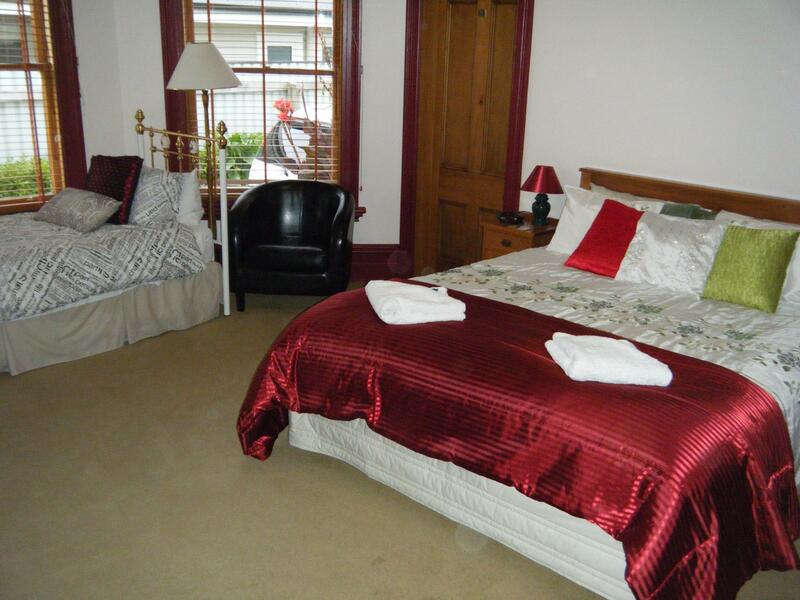 Wonderful b&b in Nelson. 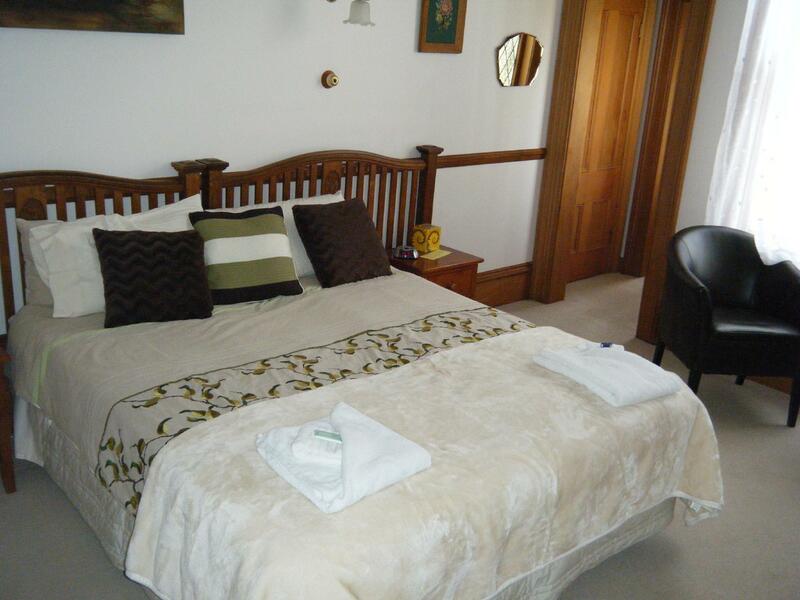 Hosts are fabulous, location was perfect for walking into Nelson and a quick drive to Abel Tasman. & Taste Trail. Breakfast was outstanding. Delightful, friendly hosts and short walk into heart of Nelson. 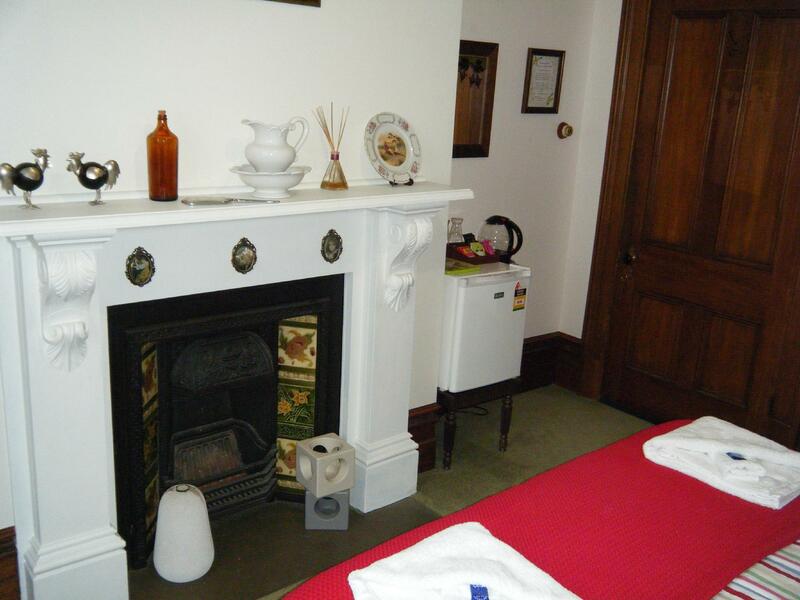 My stay was excellent the owners made me feel very welcome good breakfast traditional comfortable rooms handy for Nelson about 5 to 10 minutes walk. The owners were leaving several weeks after I stayed there. The Bed and Breakfast was close to amenities ...shopping,restaurants. The room was large with a comfortable mattress. Would like to have been able to open the window in room. The hostess gave advice on where to dine as well recommended the Saturday Market in Nelson. We like this B&B very much. We received very warm and friendly service. They picked us up from the bus station when we arrived and then dropped us off at the airport at the end of our stay at no extra cost. Breakfast was simple but very nice and personal, with toast, juice, coffee, fresh fruit and fried/scrambled eggs to order. We had a comfortable spacious and quiet room. Wi-fi was reliable but only available in the breakfast lounge. We did some trekking in Abel Tasman coastal park, but found it to be less scenic and enjoyable than the trekking we did in Queen Charlotte Sound a few days earlier. Lovely stay. Accommodating hosts, lovely room and a braekfast to die for. We loved our stay here, loved the time spent with Maria and Mike. Loved Maria's home cooking very much and appreciated the beautiful warm fire every night. Breakfasts were delicious and we were treated like family. Really loved our time here. 10 out of 10. thank you!!! Seul regret, notre hôtesse était trop discrète et manquait de convivialité. Wir waren 3 Nächte über Weihnachten dort. Unser Zimmer bot stilvolle englische Wohlfühlatmosphäre mit allem Komfort. Das Haus liegt von der Straße zurückversetzt, nachts war es schön ruhig, so dass wir das Fenster offen lassen konnten. Die Innenstadt von Nelson ist nur einen Katzensprung entfernt, das Auto kann stehen bleiben. Unsere Gastgeber waren super freundlich und das Frühstück war umfangreich und lecker. Schön eingerichtetes Zimmer, stilvolles altes Haus, fantastisches Frühstück! Wir wurden von unseren Gastgebern sehr persönlich umsorgt. Das schöne Zimmer in dem stilvollen Haus hatte ein modernes, stilvoll eingerichtetes Badezimmer. Begeistert waren wir von dem reichhaltigen Frühstück. Wir können dieses tolle Haus jedem Gastbedenkenlos weiterempfehlen. 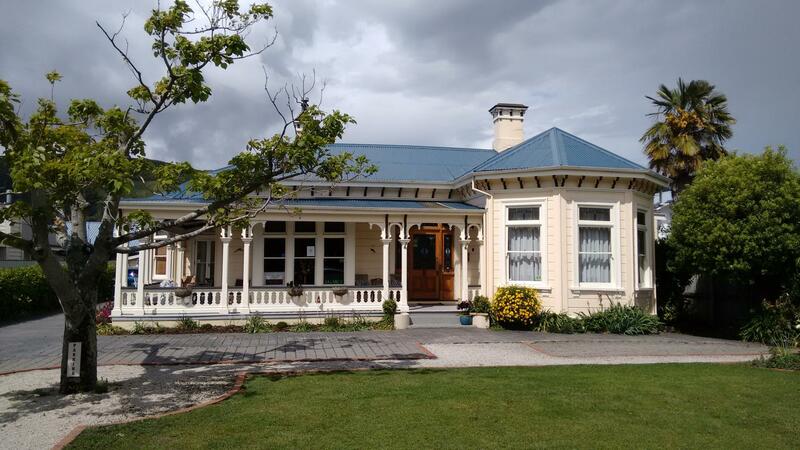 Wir hatten im Collingwood Manor unser schönstes Quartier während unser 6-wöchentlichen Rundreise durch Neuseeland.